American alternative rock band have announced they will bring the first leg of their world tour to Belfast. 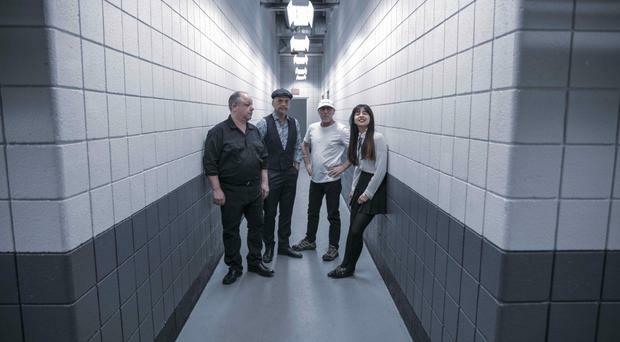 Pixies kick off their 2019-2020 world tour this autumn at the Motorpoint Arena in Cardiff, UK, coinciding with the release of their new studio album. The first leg of the tour will take the band to 33 cities in 16 countries across Europe, including a night at Belfast's Ulster Hall on September 25, 2019. Pixies want their shows to "focus on the music" and audiences can expect "almost no between-song banter". And, as there is no nightly set list, the band says that songs performed at every show are determined "mere seconds in advance". The band will be implementing as much anti-scalping and anti-secondary resale measures as possible. Ticket purchases will be limited to four tickets and the buyer's name will be attached to those tickets. Pixies want to caution their fans that if a ticket is being sold for more than its face value, or if a ticket is found to be on sale anywhere other than pixiesmusic.com or links designated on the band’s website, it will be invalid, at risk of being canceled, and will be resold to a fan at the correct price. UB40 star Brian Travers has said he will continue to live his life to the full – and not give up drink and other vices – after having two brain tumours removed. Myleene Klass has said that her partner Simon Motson “loves” seeing her pregnant, and that he will probably want her to have another child again soon. Rapper Eminem has celebrated 11 years of sobriety.